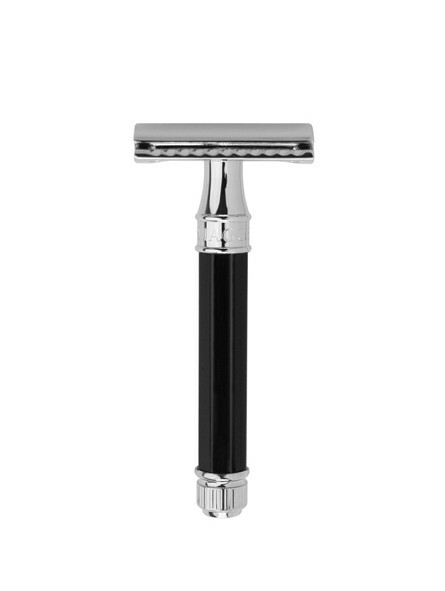 Edwin Jagger Double Edge Safety Razor - Ebony, Octagonal Extraordinary double edge safety razor DE86811 mounted with a high precision chrome head. Carries a comfortable octagonal ivory and chrome handle with the Edwin Jagger inscription on it. 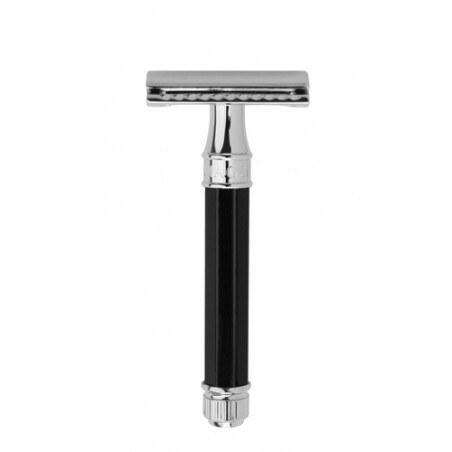 Safety razor with 1 Derby double edge razor blade. All delivered in an elegant Edwin Jagger box.